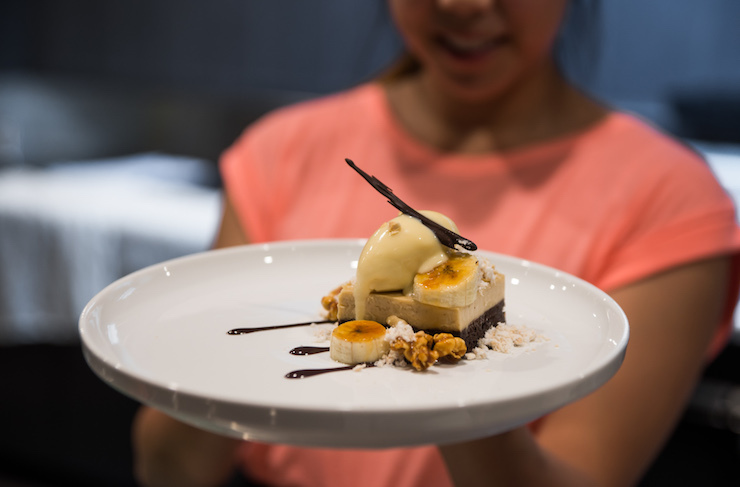 It’s no secret we love sweets, so you can imagine our excitement when we found out former MasterChef superstar Karmen Lu was opening a dessert bar in Mount Lawley. And while dessert alone is enough to get our blood rushing, desserts and dranks combined is just about enough to make us pack up shop and go and live there. Measure is sitting pretty on Beaufort Street in Mount Lawley and will be opening sometime in May—watch this space! We were lucky enough to take a sneak peek and the place is shaping up to be seriously stunning. Think dark and moody—perfect for date night—and if you have a thing for amazing lights, you’ll want to take a look at theirs. If you’re lucky enough to see Karmen in action, the name Measure will make a lot of sense. She’s precise, particular and pretty close to perfection, and her desserts are the same. The black sesame dessert is an absolute must try. 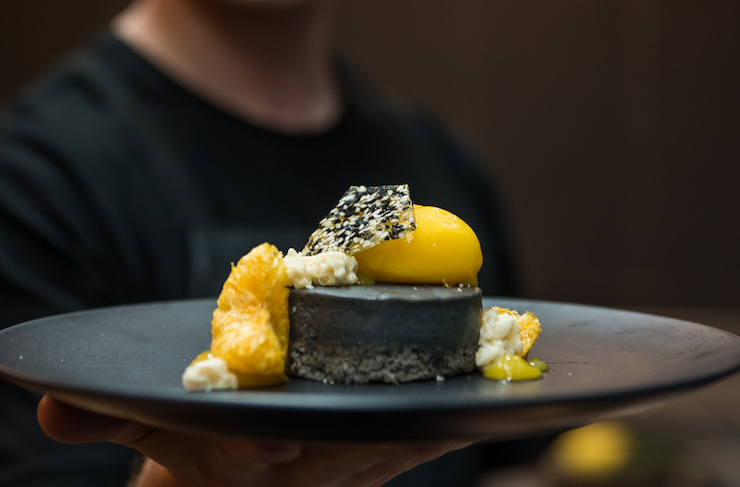 Black sesame cremeux, topped with white chocolate rice crispies, mandarin sorbet, black sesame dacquoise, sesame nougatine and mandarin gel, it’s the perfect balance of creamy and fresh and it’s ridiculously more-ish. If you’re a sucker for rich desserts, you’ll want to get your mouth around the chocolate peanut dish. Peanut bavarois on a brownie base, topped with caramel popcorn, popcorn gelato (it’s as good as it sounds), brulee banana, salted caramel powder and dark chocolate ganache. Wowsers. Obviously dessert is the drawcard here, but we do love the fact that you can go to Measure and just grab a drink. Having said that, we will probably never have the willpower to leave without ordering at least one dessert. With plans to open bookings for Mother’s Day, you’ll want to pop on over and register your interest stat, and keep an eye on their Facebook page to find out when they will be open for reals. Click here to find out about all the best new openings in Perth.